Moaz al-Khatib, a soft-spoken Muslim Sunnite preacher and former imam of the Umayyad Mosque in Damascus, will head the newly created National Coalition of Syrian Revolutionary and Opposition Forces (see my post yesterday, “The Syrian opposition’s Doha agreement”). The Coalition, formed after a week of talks among Syrian opposition groups in Doha, will have two vice-presidents -- prominent dissident Riad Seif and leading secular activist Suhair Atassi – and a secretary-general, Mustafa Sabbagh. A representative nominated by the Kurdish opposition will fill the post of third vice-president. First Vice President Riad Seif, 66 and ailing, is the godfather of the Coalition, having developed and drafted its blueprint with U.S. backing. A prominent businessman, he was elected to the Syrian parliament as an independent in 1994 and again in 1998. He founded and led the Forum for National Dialogue, which earned him five years behind bars ending in 2006. He was again arrested in early 2008 and imprisoned for trying to "overthrow the government," in reference to his work as a leader in the Damascus Declaration. He was held once more in May 2011 in Damascus. Second Vice President Suhair Atassi, 41, is a secular political activist who runs the Jamal Atassi Forum group on Facebook, which is an offshoot of the banned Jamal Atassi Forum in Syria. The forum named after her late father calls for political reform and the reinstatement of civil rights in Syria. She was beaten and detained for her involvement in protests at the start of Syria's uprising in March 2011, before going into hiding and being smuggled out of the country late last year. Now an exile living in Paris, she is trying to drum up support for humanitarian aid in Syria. Secretary-General Mustafa Sabbagh is a 1965 native of Latakia now residing in Jeddah. He heads the Syrian Business Forum, which was founded at Doha last June. Three of the Forum’s seven board members are businessmen still based in Syria. The Forum is helping fund the Syrian revolution. --To bring down the regime and all its symbols and mainstays, to disband the regime’s security services and to call to account those responsible for crimes against Syrians. --To break up and disband the Interim Government once a National General Assembly is held and a Transition Government formed. A BBC correspondent described the Coalition's leadership as a carefully balanced team that was set to become the face and voice of the Syrian opposition in the coming phase. The Coalition of 62 members of the opposition carries representation for ethnic Kurds, Christians, Druzes, Alawites, Muslim ulema, Turkmen, tribes and women. Of the 62 seats, 22 – or a third plus one -- are reserved for the SNC. 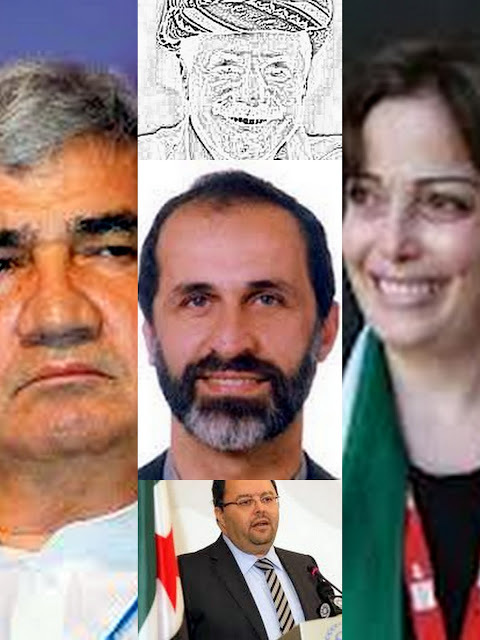 Among the principal SNC representatives are George Sabra, Burhan Ghalioun, Abdelbaset Sida, and Louay Safi. Other leading lights joining the Coalition are Michel Kilo, Haitham al-Maleh, Muntaha al-Atrash, Ali Sadreddine al-Bayanouni, Kamal Labwani and Sadiq Jalal el-Azm. Turkish Foreign Minister Ahmed Davutoglu said there was “no excuse any more” for foreign governments not to support the opposition. “We look forward to supporting the National Coalition as it charts a course toward the end of Assad's bloody rule and the start of the peaceful, just, democratic future that all the people of Syria deserve,” State Department deputy spokesman Mark Toner said in a statement. Iran’s missiles: With or against the Arabs?